Welcome to the website of the “freehand revolution”. 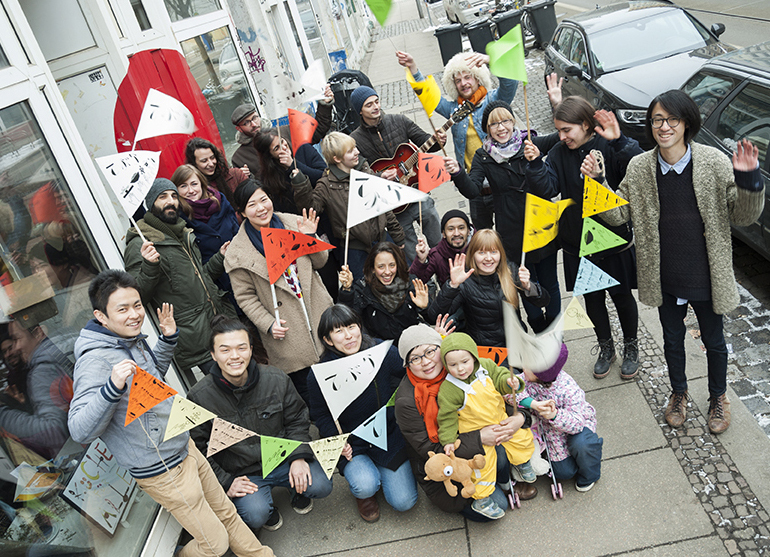 We are a group of community developers and artists connected through the activity of a community space “Das Japanische Haus (The Japanese House)” in Leipzig, Germany. 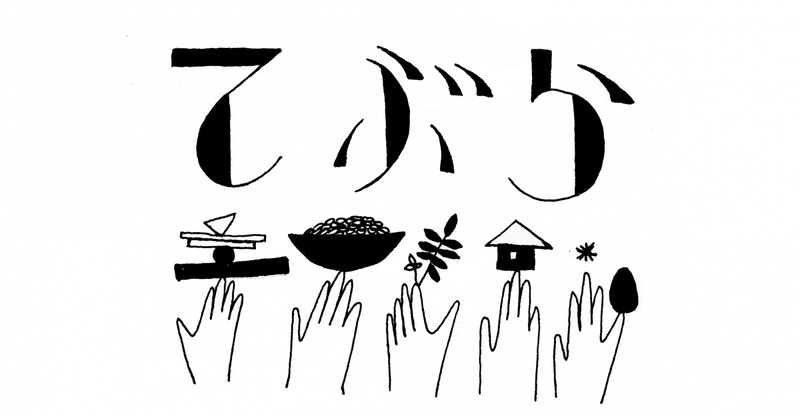 Our current projects include holding a workshop in Tottori in March 2017 and other cities in Japan, and publish a book about the activities in Leipzig and Japan named “freehand revolution! Leipzig – Japan” with funds collected through crowdfunding. Scholasticism, a career, money, material goods and power – having as much as possible “in one’s hand” is seen by many as important and normal in today’s society. Not having a lot of possession can be criticized as “putting one’s future at risk” or even being viewed as “being lazy”. On the other hand, because we tend to focus too much on “owning”, we are often suffering this “hands-full” state of mind and forced to live a strained life without pleasure. Our hands are not there to “own” something, but to explore something unknown, to cooperate with people and to create new things. One’s abilities, knowledge and techniques are likewise not “personal possessions”, but they are there to share and exchange with other people so that each of us can live lively and substantial. That’s what we want to express with the word “freehand” = to be free from the craving to own something and create something new with people together. Some people have faced this challenge of creating their own space and lifestyle in the “freehand” manner: through a process of trial and error, by coming together in various settings and cities, not as part of a big organization, company or government and without abundant funds, influential connections or money-making skills. Our action in Leipzig – Japan is also in this context. It may be a little bit pompous and self-invented, but we would like to name this approach and our hopes in this connection – the “freehand revolution”. The “freehand revolution” has been making progress everywhere around the world. Why don’t you join us with your free-hands? We grew up in economically developed countries, Japan and Europe, where it is generally considered that it is always good to have “more” in hand. Although most people have never suffered from starvation or war and grew up with prosperous, young people are still suffering from depression, anxious about human relationships and the stress of life, find life hard, and even some committ suicide. Our generation has personally experienced that consuming goods by earning money or chasing economic growth through competition and efficiency are not always enriching our lives, but rather that it undermines our heart and deprive humanity. In such a society, many people share the desire to create a base where they can live pleasantly and humanly. A place where people of various backgrounds can join and leave freely, talk, build up the relationships, enjoy time together, create new things together, and especially built the foundation of our lives… We believe that there is an answer in such a “place” without certain name which can not be realized in spaces such as workplaces, schools or commercial facilities. Needless to say, it is not easy to realize “place-making” with experience = in a “freehand” manner. Since there is not even certain role model for it, people should face this challenge in a “learning by doing” or “try and error” manner and it takes time and labour. Also we can not avoid the the necessity of money in daily life or how to combine such activities with a job. Nonetheless, through our experience of having created such “place”, in which human relationships do not revolve around money or authority but people create and share spaces and goods together, leads to a true richness of life. That is the reason why we are pursuing this “unpolished” challenge. Moreover, our lives are getting more similar independent of our location.Whether you live in a metropolitan, middle or small city or even a rural village. We can connect with anyone anywhere at anytime, share and receive information and you can easily travel almost everywhere. Thanks to computerization and globalization, you can choose the suitable place where you want to move in. This is clearly the strength of our generation. Leipzig and Tottori were connected by chance through a human network within the context of internet and globalization. Once we were connected, we found the similarities of both cities, like there being many vacant spaces available to young people as well as non natives for their “place-making” and the fact that many local people and their networks are supporting those activities. These two cities are the forefront of “place-making” in Germany and Japan. This was such a nice discovery for us and became the starting point of this project. Freehand revolution is the revolution which starts making a “place” where we can live within this society more lively.